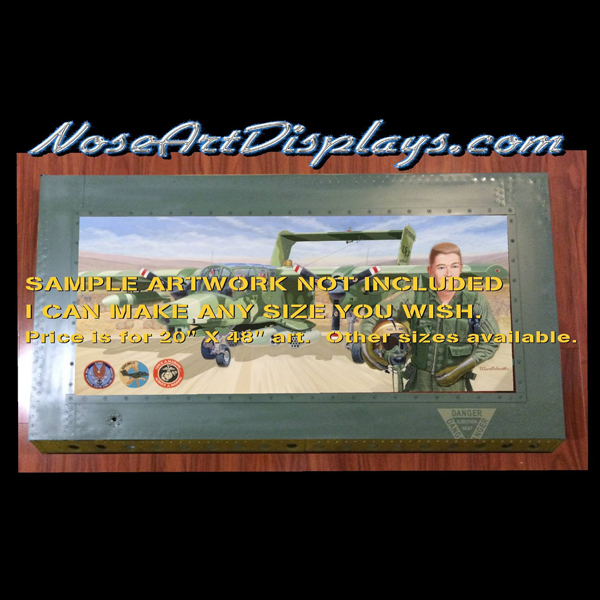 You are looking at an Aircraft Inspired Aluminum painting frame with over 900 hand set solid aluminum rivets as well as 58 1″ lightening holes, as well as other details to represent an aircraft. This actual frame is being delivered to a restaurant for display. YOUR frame will be more or less money, depending on the size, shape, details and complexity. This is just a sample. I can make any size you desire along with LED back-lighting for effect at night.